I have tested my Bunker twice in snow. Last winter in -10 degrees C. with 5cm snow, and yesterday in -7 degrees C. with 20cm snow. Both times the tent became quite wet on the inside. 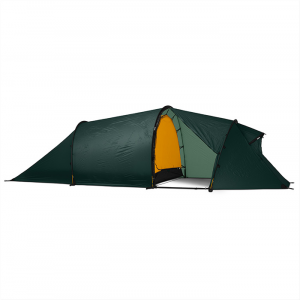 Last winter I started with the vent closed, believing that I would warm up the small airspace in the tent, and the breathable panels would keep the tent dry. I "almost drowned" and had to open the vent in the middle of the night. Yesterday I left the top vent completely open, including the mosquito net. Still there was a thin layer of water and ice in the inside of the panels. I was comfortably warm though (sleeping bag rated to -7 degrees C). The tent may be breathable, but as far as I understand the concept of breathability, there has to be a temperature gradient to drive the moisture out. This will never happen in a tent in winter. The tent merely protects you from wind and precipitation, which The Bunker does perfectly. Being only 168cm (5' 6") tall, the tent fits me OK, but I wouldn't like to be much taller. Fitting a large backpack inside will be quite a struggle. 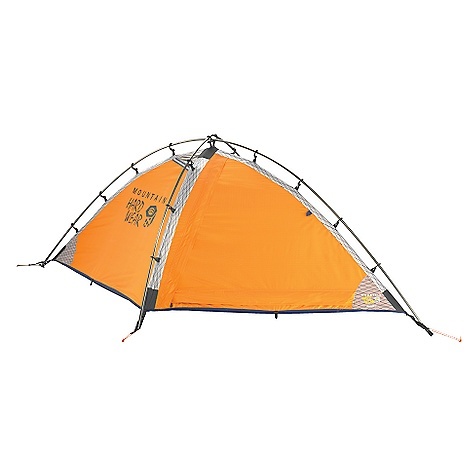 In conclusion: A good tent for survival, but not designed for comfortable hiking. This is my first singled walled tent and boy is it wet. There is limited ventilation from the single small vent, so unless you leave the door open, there is minimal air exchange. Did I mention the door? 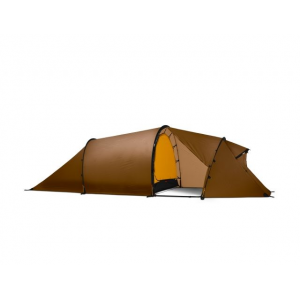 Well in lower elevations, if you leave the door open the bugs will get in because this tent is minimalist and does not have a bug fly on the door. As for size, don't even consider it if you are over 5'10". The image on the MH website represents a child inside of the tent, not an adult. Also be warned that the walls of the tent converge at both ends and leave virtually no space at the sides of your head or feet. So if you are a side sleeper, like myself your breath will condensate on the tent wall, an inch or two away. Also, you will probably need to buy a new sleeping pad. 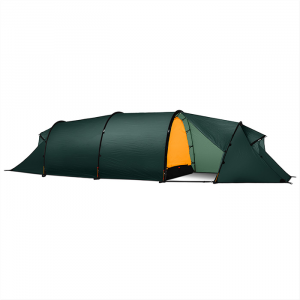 With the double tapered design of the tent, a highly ergonomically cut full size pad may fit, but I am guessing that I will have to go with a 3/4 length. Just got my Bunker 1 and be warned, this isn't for tall people. 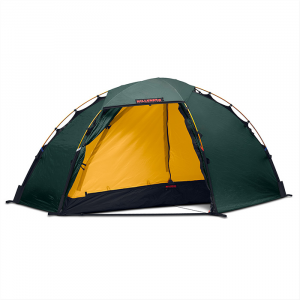 I pretty much max it out at 5-10 and am going to have to get a different Therm-a-rest due to the tapered design of the tent. I have yet to actually spend a night in the tent and that will be in the Sir Donald Uto col, stay tuned. The Bunker 1 has been discontinued. 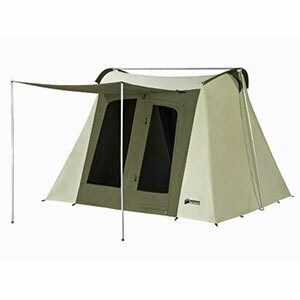 The Mountain Hardwear Bunker 1 is not available from the stores we monitor. It was last seen January 15, 2013	at Mountain Gear.